Is it Conceited to Quote Myself? Saw this poster while I was waiting in the drive thru getting coffee before work. Even though I wasn’t having a particularly bad day this random sign made my day that much better. It’s true Someone does Love You and I think sometimes we forget this. 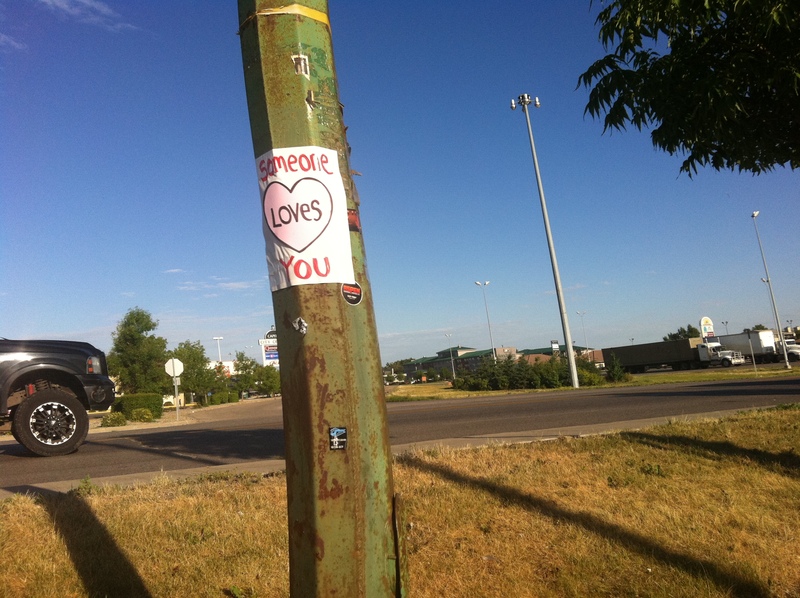 Thank You to whoever felt so moved to put this up, I’m sure it brightened many peoples day!